Be the winner of this year’s best present! These offers can be used for MSR Houston’s Karting . Simply select the amount you’d like and give the gift someone would love to have. Reservations are not required but we recommend calling us at 281-595-3305 to confirm availability. The karting sessions may not be split among multiple drivers. 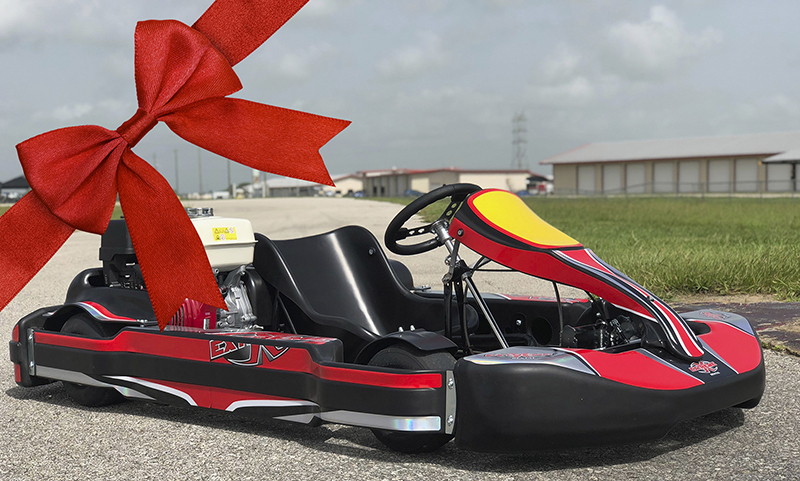 Christmas Eve: Road Course: 9 a.m. to 12 p.m. & Karting Track: 9 a.m. to 2 p.m.
New Year’s Eve: Road Course: 9 a.m. to 12 p.m. & Karting Track: 9 a.m. to 5 p.m.
New Year’s Day: Road Course Open: 12 p.m. to 5 p.m.
Buy your Karting Experience Now!